There really isn’t a way to convey how our hearts feel when we see Tinkercad designers build REALLY. COOL. STUFF. It’s a moment in time when we take pause, giggle and realize how much we love what we do. THIS is what it’s all about, and we never grow weary of watching the Tinkercad community learn, grow and utilize our tool in so many different ways. Ole Olmanson is one such Tinkercad designer who recently caught our attention. 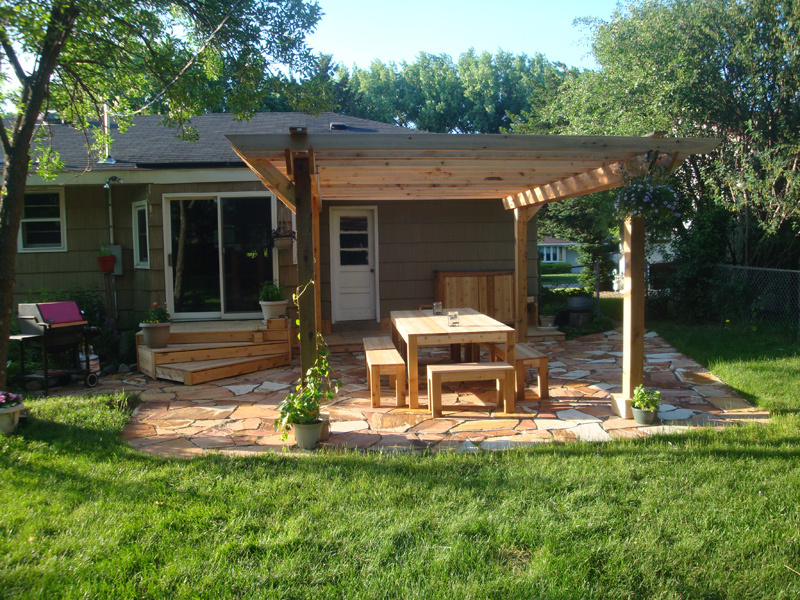 He began working on his patio design not too long ago and before we knew it…voila! He had actually BUILT it. 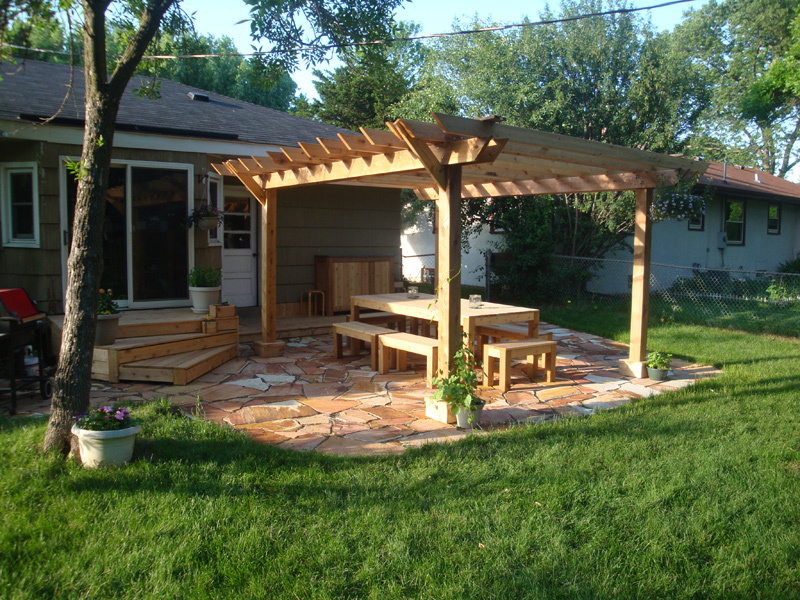 Ole was kind enough to take the time and share with us the story behind his why he wanted to build a beautiful patio. Here it is along with some fantastic pics from Ole. “Five years ago, my young family bought a house. 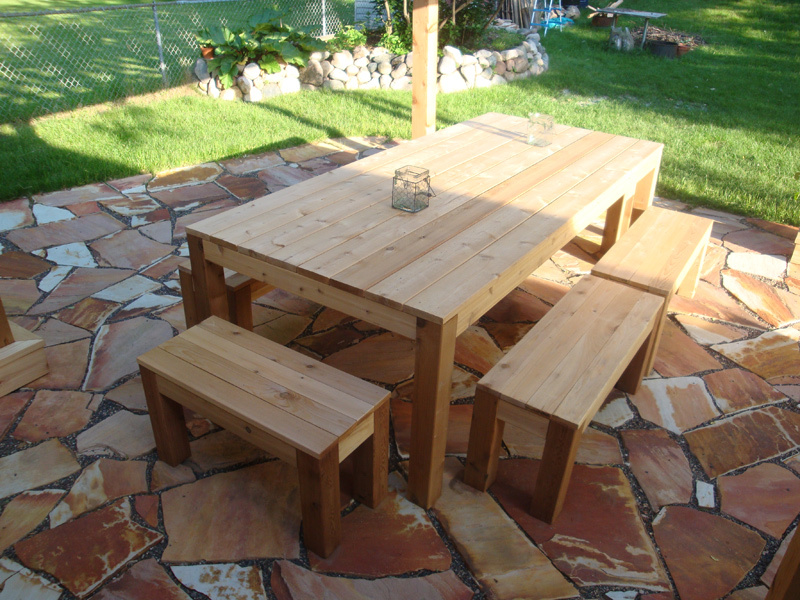 We used to love eating outside at our old place, but didn’t have furniture or patio to do that in the new house. My wife and I talked for years about what we wanted and started saving. Last fall I laid the stone for the patio with the plan to build the pergola, table, benches, bar, steps and deck in the spring. Over the winter I found Tinkercad and started messing around with simple designs for a different project I have going on. I really liked the simplicity of the interface, but I also loved the fact that it was web based and I could work on projects anywhere, plus I didn’t need a powerful computer to use it. After getting the hang of the program, I decided I’d try to design part of the patio. 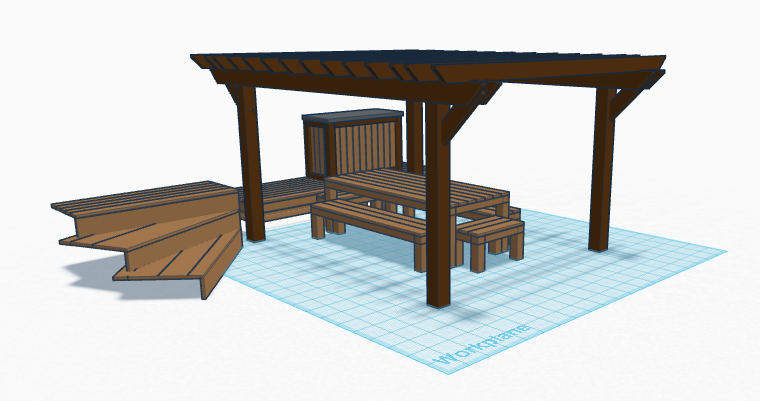 I did the pergola first, then the table and benches, then the rest. It took me about a month. 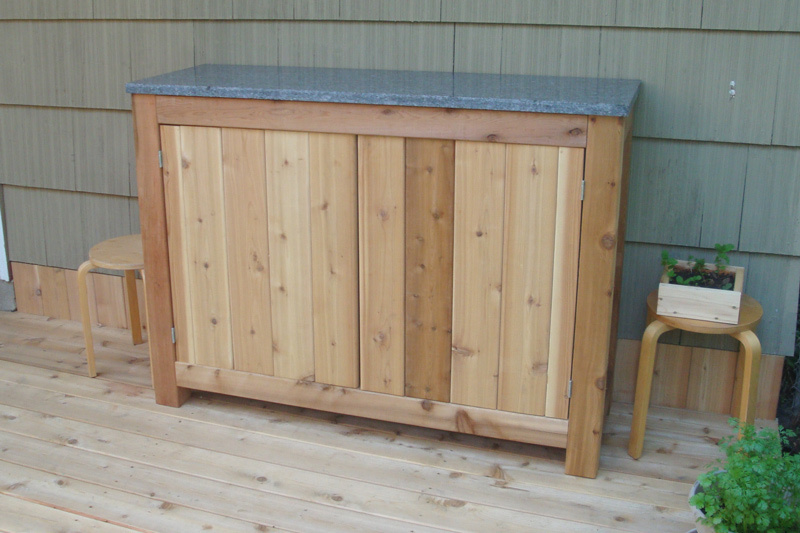 It was great because I was able to consult with my wife and have her visualize it before we even bought the lumber. Any changes she had could be made in minutes and we could see the results instantly. The end result of Ole’s work? WOW!! Next project? BBQ time! Do you have a cool Tinkercad creation and story you’d like to share? Send it to us at team@tinkercad.com. We want him to hang out with us, too! Isn’t this just awesomesauce?! 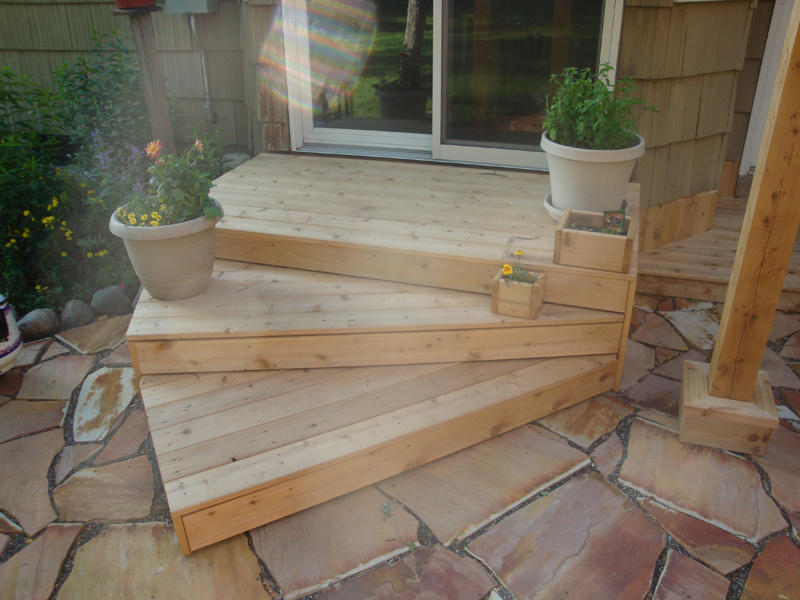 I love the wooden steps, it goes very well with the rock. I love how that’s a real solid patio. Looks sweet!